Deep, dense crimson with a black core. A glaceed, ethereal layer hovering above - Asian sauces (not spices) - dark sweet soy, Hoisin plum sauce - over a diverse pool of traditional South Australian Shiraz plummy fruits. Immediately measured and poised, arguably with no aromatic requirement to 'wait for the oak to settle!' Spiced, dark licorice ' chocolate and liberally fruited with appealing cranberry acidity on finish. Generous and multi-layered and enriched by ripe, solid tannins brazenly reaching out from the back palate. A dry-grown, low-yielded Shiraz assertiveness - with balance, vivacity. 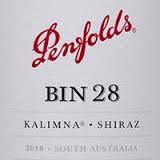 "In the heartland of Penfolds' red wine style; blackberry fruit, ripe tannins and vanilla oak; needs time, but everything is in balance."